Stainless steel breakfast bar, wall cladding and steel wall-bench with kitchen canopy hood. 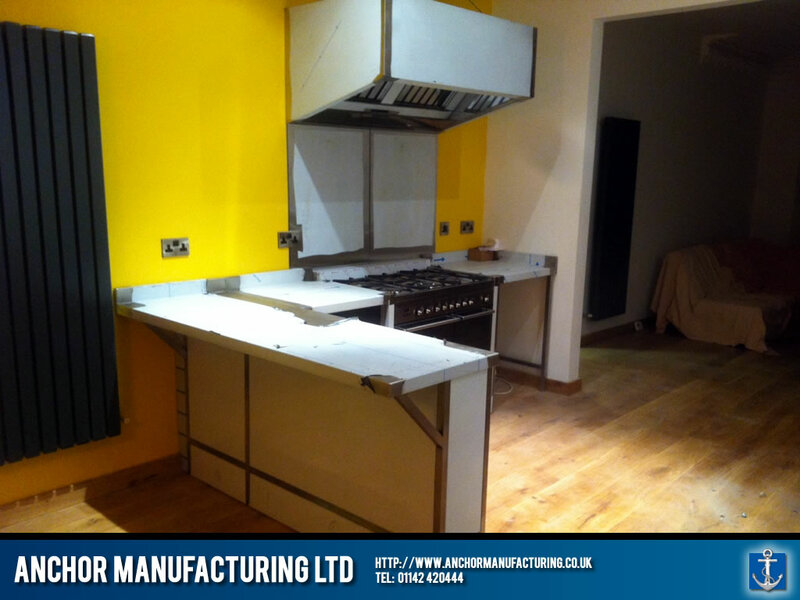 Anchor Manufacturing LTD install a stylish stainless steel breakfast bar, wall benches, steel wall cladding and a small kitchen canopy island for an open plan kitchen area. The air extraction is facilitated through galvanised ducting running through the modern living room. This unique project is a residential kitchen on Ecclesall Road in Sheffield.